Dany Richard is an outspoken advocate for the public service financial management community and a respected leader among his fellow Financial Officers. Mr. Richard joined the federal public service nearly a decade ago in Montreal after a successful career in the private sector with both CitiFinancial and the National Bank. He was first elected to the ACFO Board of Directors in 2011 and served as Executive Vice President before being elected President in 2016. His track record of serving his community also includes a term as chair of the ACFO Departmental Representative Program and two terms on the ACFO Collective Bargaining Committee. 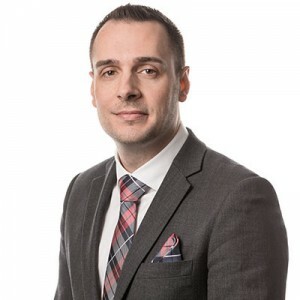 He received his CMA/CPA designation in 2010 after completing an MBA at l’Université du Québec à Montréal. He’s also completed the Financial Planner program at l’Institut québécois de planification financière. He has previously sat on the board of Caisses Desjardins and is involved in member committees with CPA Quebec. Mr. Richard is a sought-after commentator on issues including public service finance, professional development for financial professionals and youth engagement in public service. He has appeared on CTV and in the Ottawa Citizen, among other media appearances. He has been involved with several non-profit youth groups, including the Forum For Young Canadians and Enactus, a community of student, academic and business leaders focused on entrepreneurship for global sustainability.